Update 31/1/13: Lewisham A&E will ‘only’ be downgraded to a small facility rather than closed, but Hunt plans to reduce other services at Lewisham to things like knee and hip replacements. The principles below still apply – the NHS is in more than enough surplus to solve SLHT’s problems 12x over without any downgrade at Lewisham or elsewhere. I came across a very interesting snippet in the transcript of last Monday’s House of Lords debates, which drew my attention to something I hadn’t been fully aware of before. You may already have heard about the government’s planned closure of the Accident & Emergency (A&E) and maternity units at Lewisham NHS Trust, and about the mass protests of residents against the closures, as local people try to prevent the government from closing facilities that are crucial to the health and wellbeing of surrounding community. What you might not be aware of is why the government wants to close these critical units. Will the Minister accept that the proposals to close the excellent and much-admired accident and emergency hospital in Lewisham, and to downgrade its maternity services, have been made not because there is anything wrong with the hospital but because a government-appointed administrator has said that that should be done in order to help the neighbouring National Health Service trust, which has run up £130 million-worth of debt? Will she accept that closing and downgrading good facilities is an act of almost criminal stupidity, which leads to nothing but increased health inequalities when the Government’s objective is to reduce them? Yes, you read that right. 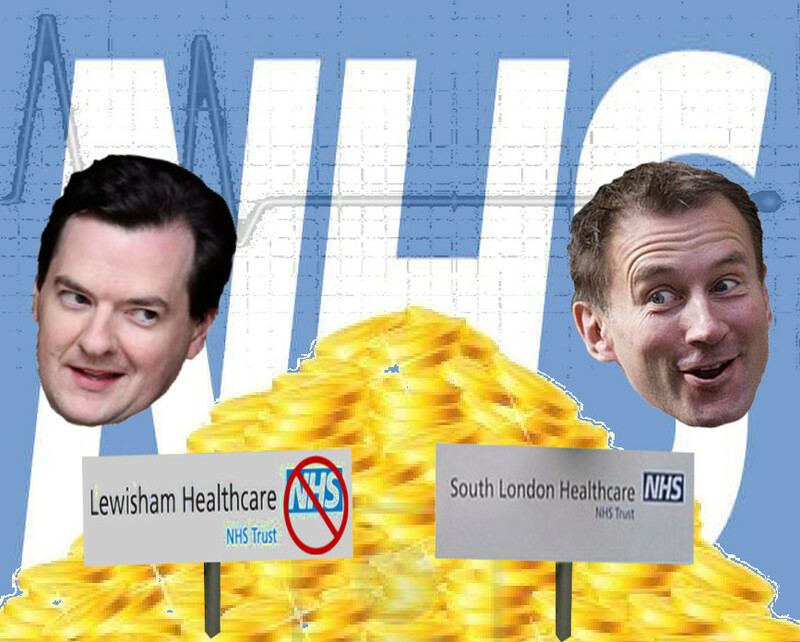 Lewisham A&E – which only months ago underwent a multi-million pound upgrade – is to go because of debts at a completely different Trust., to which it is unconnected except by virtue of being part of the same National Health Service. It’s well-known that time is of the essence when it comes to treating emergency cases – any additional delay can worsen outcomes drastically, even resulting in death (just think of the ‘Act FAST’ advertising campaign stressing the importance of urgent recognition and action in stroke cases). The people currently served by Lewisham A&E face having their lives and health put at risk by a longer journey for treatment at a unit elsewhere in London, while mothers and babies face a greater threat if there are complications during labour. But as well as ignoring the wishes and welfare of people in and around Lewisham, the government is also demonstrating the truth of something which it generally tries to deny. The administrator placed by the government in charge of South London Healthcare Trust (SLHT), the ‘financially-challenged’ Trust mentioned by Lord Tomlinson, has recommended closure of facilities at neighbouring Lewisham because this will apparently help the SLHT. The government – for its own venal purposes – has been insistent in treating hospitals and Trusts as individual organisations, each with its own budget and its own responsibilities. But by considering the closure of facilities at one Trust for the sake of another, the government is recognising the principle that the NHS is one organisation, and individual Trusts are all part of a single whole. Like a field of mushrooms that are really all part of the same system. And that simple fact, obvious to everyone who truly loves the NHS, but denied by this government up to now, means that the closure of any facilities in Lewisham is completely unnecessary to save the South London Trust. As I showed in a post last month, the NHS ran at a surplus last year of £1.6bn – enough to clear the South London debt more than 12 times over. Rather than use this for the good of patients or to solve the debt problems of struggling hospitals, the Treasury stole (or ‘clawed back’, as it calls it) at least £1.4 billion to add to its ‘savings’ from the government’s brutal cutbacks in order to fund tax-cuts for the wealthy. There is plenty of money within the NHS to make SLHT’s debt problems a dim and misty memory. All the government has to do is start treating the NHS as a whole and not as a range of individual, fragmented pieces, and then use the surplus as needed to restore health and balance to the system. That the government is making a choice not to do so shows the utter falseness of the Tories’ claim to value the NHS and of their promise to protect it. It also gives away their strategy to break the NHS up into ‘manageable portions’ that they can starve into submission and then dispose of piecemeal to their friends and backers. But in even considering the SLHT administrator’s recommendations for Lewisham, the government is unwittingly admitting that the NHS is one entity, with each part linked to every other, and the whole organisation responsible for supporting every part. Admitting, too, that there is no need to close anything at Lewisham. I hope the campaigners can take the government’s own precedent to mount a strengthened legal and political challenge to the government’s attack on their services and wellbeing. ← IDS: ‘feel sorry for me, not the poor and disabled’? Yes its interesting that they are closing well functioning in budget hospital areas at one trust so they can subsidise a badly functioning hospital trust that is failing because of the huge PFI deals crippling it. But then again I wonder who is on the boards of the companies that are the beneficiaries of the PFI deals and on the boards of companies that may hold shares in them. But I doubt its possible to find out as PFI deals are often excluded from FOI requests as “business sensitive” or some similar fop. It would also be interesting to find out the levels of PFI at Lewisham in contrast to that at SLHT. Would it not be pure gold if it turned out that “out sourcing” to private companies was the down fall of SLHT while keeping things un-privatised at Lewisham was its saviour… at least prior to this stupid decision. The debts mentioned here are not new. In 2005, whilst politicking, I was able to identify – simply by reading a goodly few newspapers local and national – at least seven trusts in Southern England that were wildly in debt yet they still managed to give 5 figure payouts to departing executives, only for them to resurface (after a short rest) at another trust comforted by a golden hello. As I understand it, PFI repayments have the first call on Trust budgets so that may be why a non-PFI hospital is an easy target for providing “help” in a sacrificial way. I agree that the population of Lewisham is just the sort of population for whom the NHS was set up and who will suffer disproportionately if services are randomly removed. There is another very important point here – why should ANY local population have their NHS services held to ransom by daft or sensible management decisions made now or in the past? 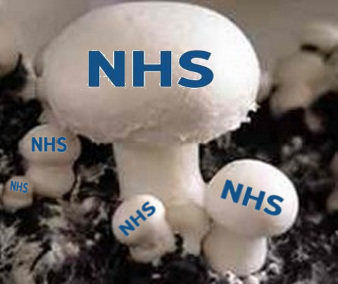 Isn’t the whole point of the NHS to remove the elements of luck (money, birth, connections) that govern fee paying health services – by providing what is needed, where it is needed? Surely it shouldn’t matter who was your local Trust CEO last year. If he or she was very good – keep them on, if they are a disaster – remove them and help the Trust recover. Any sort of marketplace is a complete nonsense if you are trying to provide an equitable health service. This may be a record “late contribution” to a blog but I ran across this tonight and felt the urge to correspond, even if only to the ether!